ByeBye Muffin Top, Hello Booty Pop! A waist whittling and booty volumizing workout. Here’s the workout along and if you click on the picture you’ll be directed to the segment where I demo the moves for you. Have fun with this and enjoy! You can also use these moves with a tabata timer. Do 2 rounds of tabata for a full workout. Its Workout Wednesday and today Ive got a fusion style workout using a kettle bell for ya. Don’t have a kettle bell? No worries, a dumbbell will work just fine! I headlined the NC Health & Fitness expo this weekend and meet a lot of cool fellow fitness phene’s and tried a lot of great products too. 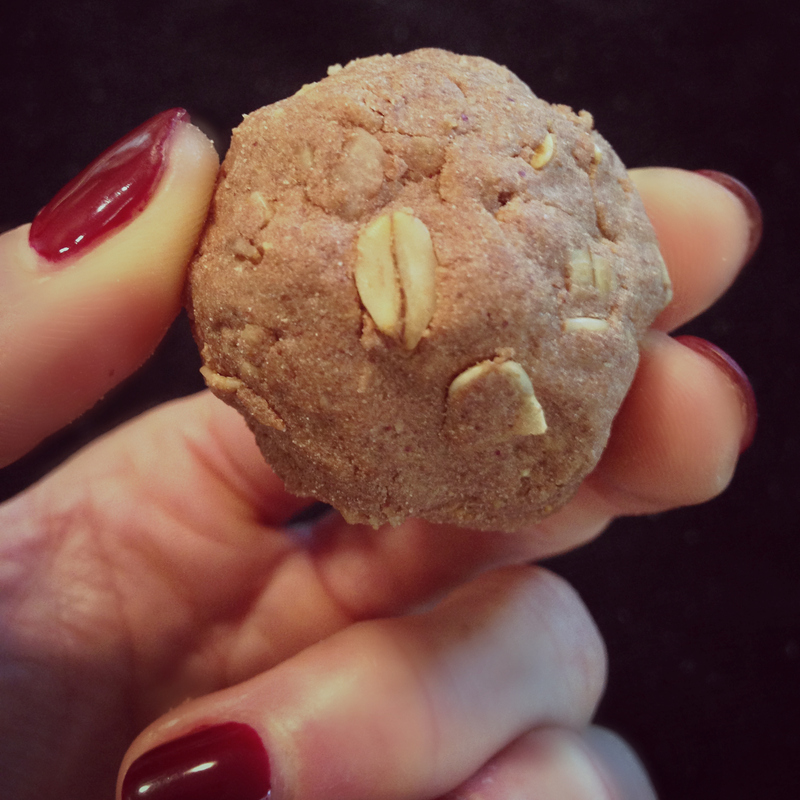 One of my favorite things was a homemade chocolate protein ball and I had to get the recipe because it was actually good! You know what I mean when I say that, most homemade protein bars, balls, muffins, pancakes, and more taste horrible. Dry, chalky texture with lackluster taste, its not good! Not to mention the protein and money I waste while trying these recipes, uh drives me nuts! But not these protein balls. They’re not a waste of my money and they’re so convenient to have around the house to grab before or after a workout. Here’s the recipe, hope you like them as much as I do! Put peanut butter and honey in the microwave for about 30sec and stir to combine. Add dry ingredients to wet and combine thoroughly. Then form mixture into 1″ balls.